If you click on to the above blog site you can follow Alicia directions. I'm just a big fan of freezer paper I just created my own template by outlining bowls from the kitchen. 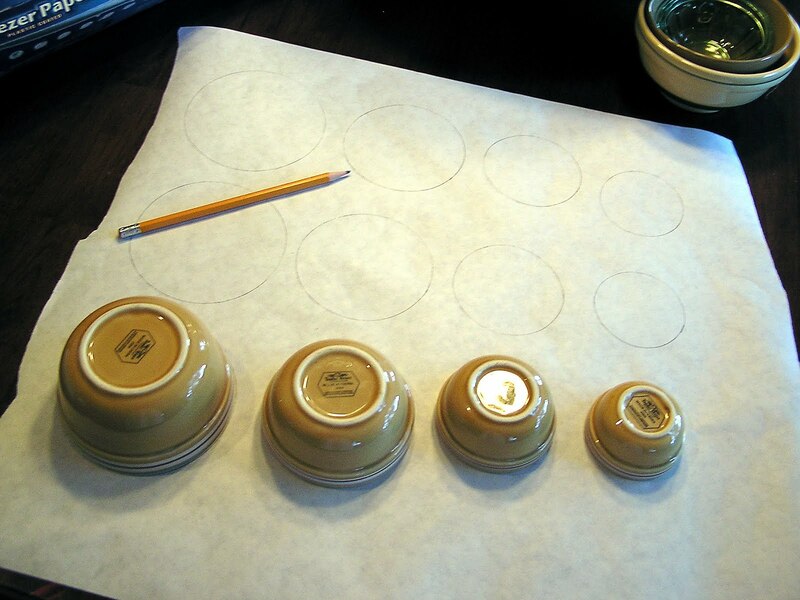 Next use an x-acto knife, and craft pad to cut out circles. 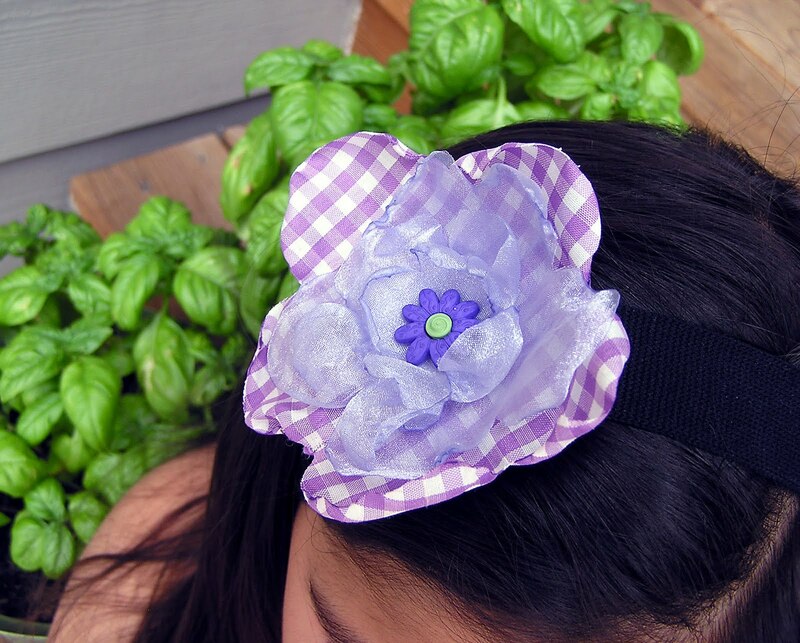 You must use systhetic fabric for this project. 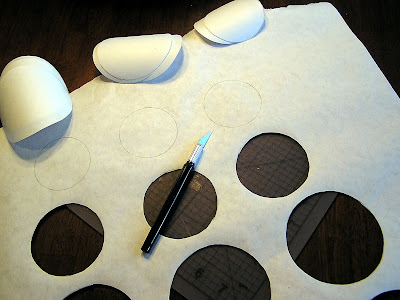 Use the circle template as your guide to cut out fabric circles. 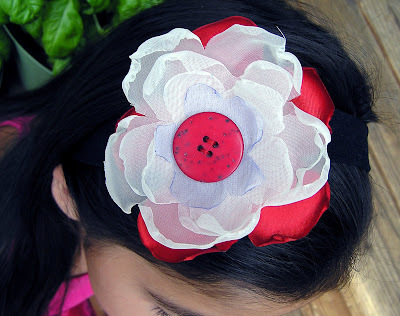 You can use a straight pin to hold template to fabric, or just hold and free hand cut. 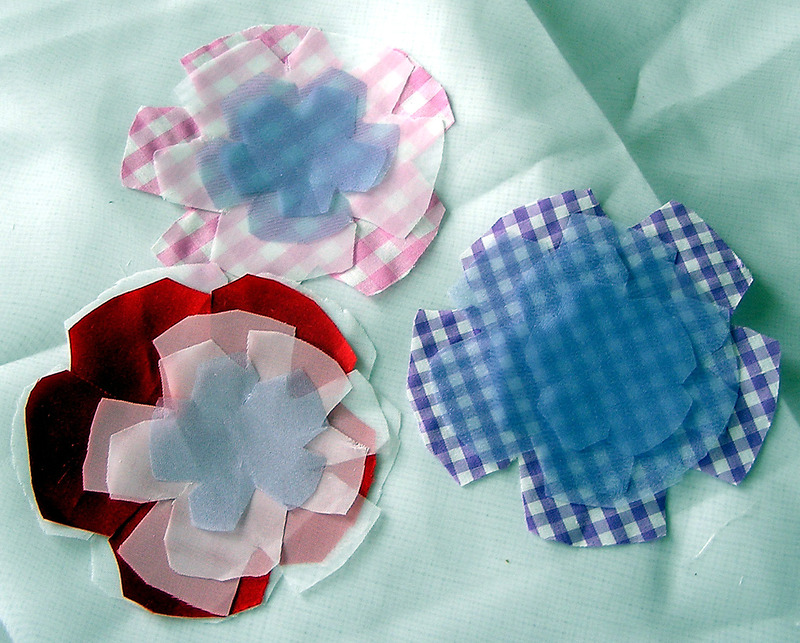 Now cut 5 straight cuts towards the center to create petals for flower. I also cut edges off to help form the petal shape. See above. Now light a candle and place individual cut pieces to the flame. The flame will create these beautiful wilted, curled edges. Once all done. 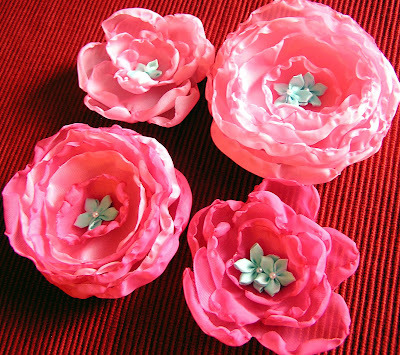 Stack your petals, and add fleece for backing. Now hand stitch together. I also stitch on to head bands and a tank top. The possibilities are really endless. I was thinking about add to a homemade denim purse, or making them for Kaya's little girlfriends. Thank you Alicia for a easy, fun, and beautiful craft idea. I can't wait to make more. This gave me the chills! They turned out SO cute. I can't wait to see what else you do with them.